Authy – Authy Inc. (for iOS) for free from Rene Ritchie. Lyve Home Photo and Video Manager for Mobile Devices with 2TB Storage for $149 (on Amazon) from Leo Laporte. Waterproof Bluetooth Speaker, Alpatronix® [AX410: Heavy-Duty & Rugged] Ultra Portable Wireless 12-Watt Stereo Speaker with Shockproof, Dustproof, Splashproof, Water-Resistant Features includes Bluetooth 4.0, Built-In 3000mAh Rechargeable Battery, Enhanced Super BASS with Subwoofer, Built-In Microphone, Speakerphone & Playback Controls [Compatible w/ iPod, iPad, iPhone, Android Devices, Smartphones, Laptops & Desktop PC / Carabiner Included, Fits Easily in Bicycle Water Bottle Cages] – (Black) for $45 (on Amazon) from Andy Ihnatko. 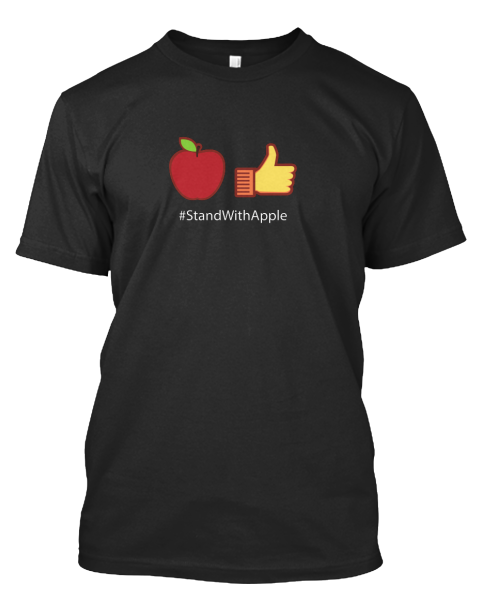 Stand with Apple T-Shirt at https://teespring.com/standwithapple for $20 from Rene Ritchie.